I've been reading Jackson's work for most of my life, but finding copies of any but her most famous books has always been difficult — and in the case of Hangsaman, nearly impossible unless you wanted to shell out a lot of money for an old copy. 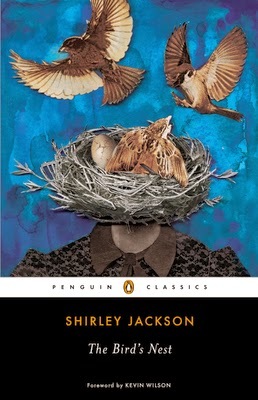 When the Library of America announced they were putting together a Shirley Jackson volume a few years ago, edited by Joyce Carol Oates, I had high hopes that it would include at least one of the lesser-known novels, but it didn't. Yes, The Haunting of Hill House and We Have Always Lived in the Castle are magnificent — the latter especially seems to me one of the greatest American novels of the second half of the 20th century — but the other novels are not bad, and are often fascinatingly weird. There's a perfection to Hill House and Castle that the other novels never quite achieve (few novels do! 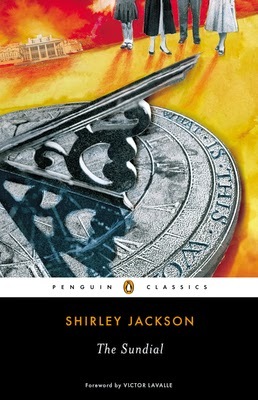 ), and the lesser-known novels are, perhaps, a bit more novels of their eras than the well-known ones, but they're still very much the novels of Shirley Jackson, and so unlike anything else. Really, pick up The Sundial or Hangsaman or The Bird's Nest and within a few pages, or even paragraphs, you'll know you're in Jacksonland. It's taken a long time for Jackson to be known as more than just the writer of "The Lottery", and for her other stories and novels to be as appreciated as they deserve to be, but thanks to Penguin we can now look at her entire body of work. What struck me as I've gone back to that whole body and not just a few favorites (I can't tell you have many times I've read the story "One Ordinary Day, with Peanuts"!) is how skilled with language Jackson was. This summer, I re-read Castle, and wondered why I'd never noticed before just how extraordinary her sentences are. The other novels are sometimes a bit wayward in their structure, or somewhat unsatisfying in their conclusions, but they all show Jackson's sensitivity to words and rhythms (like a somewhat less purple Theodore Sturgeon). Because I had always focused on the weird, disturbing qualities of her fiction, I missed some of the beauty and humor. Looking at more of her writing makes the humor especially come through — though of course we should have known from Life Among the Savages and Raising Demons that she had a ... wicked ... sense of humor. In any case, if you've learned to love Jackson, there's no need now for your love to be left only for her most famous works.